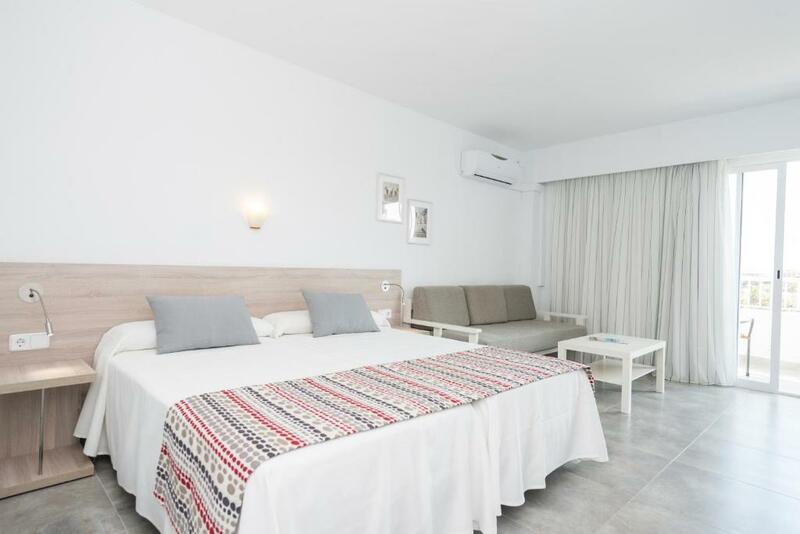 Set between the mountains and a lake in northern Majorca, these well-equipped apartments are perfect for friends and family visiting the historic city and beaches of Alcudia. 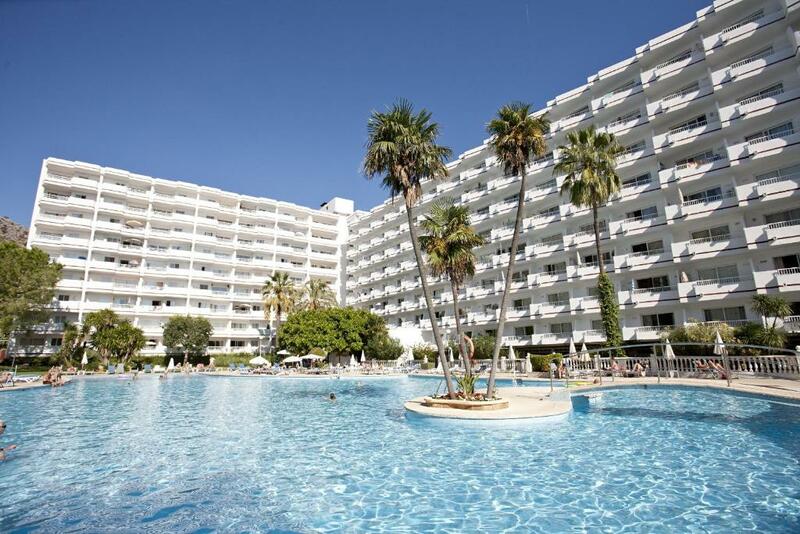 The Siesta I apartments are found in the coastal resort of Port d’Alcudia, on the lively avenue of Pere Mas i Reus. 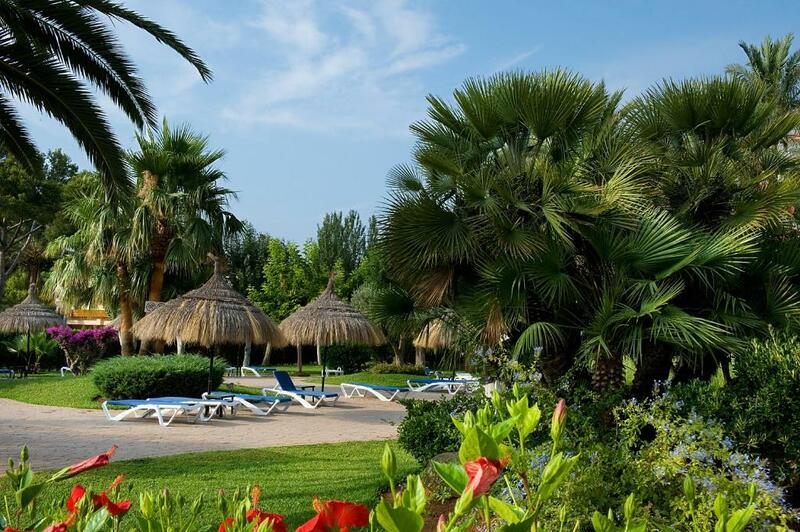 They are surrounded by lush, Mediterranean gardens and a lagoon swimming pool – ideal for cooling off from the warm sunshine. You can also choose to stay active on the property’s own tennis courts. Studios, 1- and 2-bedroom apartments come with air conditioning and ceiling fans to keep you cool in the warm summer months. Use the kitchen unit to prepare your own meals and relax in front of the satellite TV. An on-site grocery store provides you with supplies for your stay. When not cooking for yourself, head to the restaurant or pizzeria for a delicious meal. Then finish off the day with a refreshing drink in the bar. 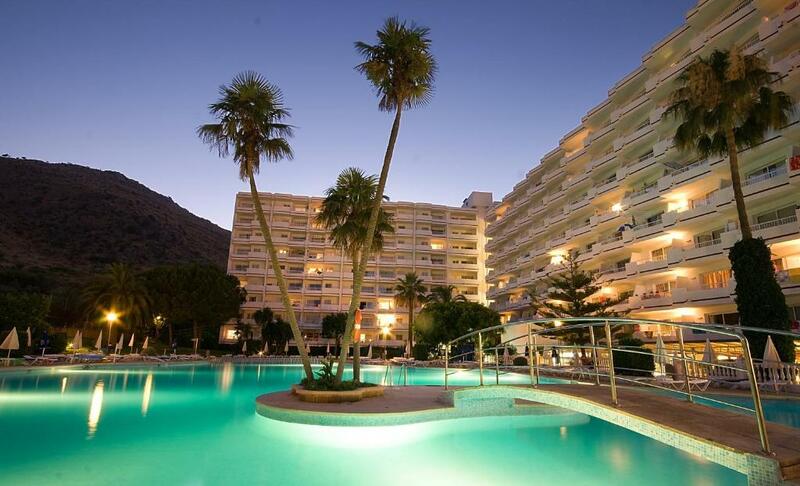 When would you like to stay at Apartamentos Siesta I? This studio features air conditioning, kitchenware and balcony. Public parking is available on site (reservation is needed) and costs EUR 5 per day. This apartment has a toaster, seating area and sofa. This apartment has a flat-screen TV, electric kettle and kitchenware. This studio features a balcony, sofa and tile/marble floor. This apartment has a soundproofing, oven and tile/marble floor. This apartment features air conditioning, view and toaster. This apartment has a kitchenware, air conditioning and microwave. This apartment features a kitchenware, private entrance and seating area. This apartment has a private entrance, tile/marble floor and microwave. This apartment features a kitchenette, soundproofing and private entrance. This apartment has a microwave, sofa and kitchenware. This apartment features a microwave, stovetop and soundproofing. This apartment has a toaster, tile/marble floor and balcony. This apartment features a sofa, air conditioning and soundproofing. This apartment has air conditioning, balcony and stovetop. This apartment features a tile/marble floor, microwave and dining area. This apartment has a flat-screen TV, dining area and toaster. This apartment features a dining area, tile/marble floor and kitchenette. This apartment has a microwave, tile/marble floor and dining area. This apartment features a soundproofing, dining area and air conditioning. 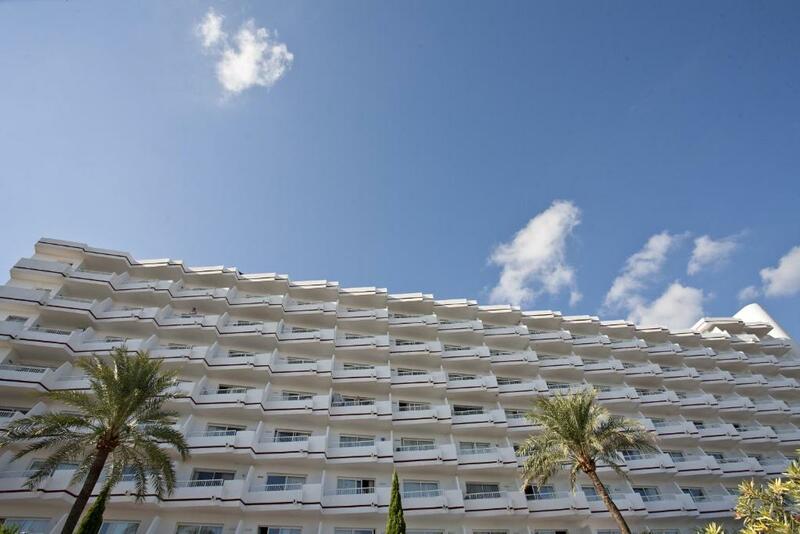 We offer large apartments compared to other establishments in the area of Puerto de Alcudia, and guests can choose from the following: studio, studio pool view, one bedroom or two bedroom apartments. All one bedroom apartments have pool view, the majority of two bedroom apartments also have pool view. We have a daily and evening entertainment programme for kids from 4 years of age up to teenagers, and we have evening shows every night. You will not get bored!!. We have a large lagoon-shaped swimming-pool and lovely Mediterranean gardens. 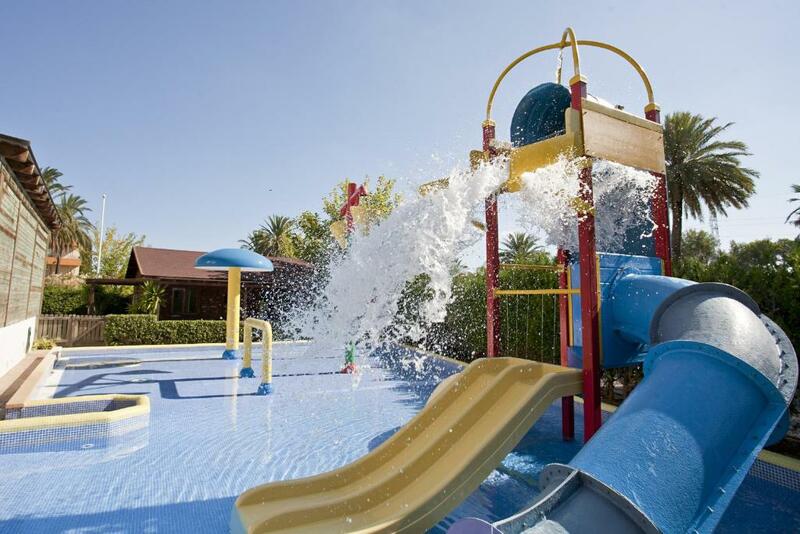 Guests value our family-orientated facitilies and we pride ourselves on good service. Our WiFi is free of charge in reception and in the bar/restaurant. We hope to welcome you soon to Apartamentos Siesta 1!!. 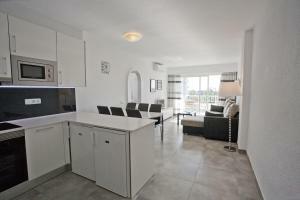 House Rules Apartamentos Siesta I takes special requests – add in the next step! Apartamentos Siesta I accepts these cards and reserves the right to temporarily hold an amount prior to arrival. Please be advised: Cleaning and change of towels 5 days a week. And change sheets 2 times a week. Please inform Apartamentos Siesta I of your expected arrival time in advance. You can use the Special Requests box when booking, or contact the property directly using the contact details in your confirmation. We need at least 5 reviews before we can calculate a review score. 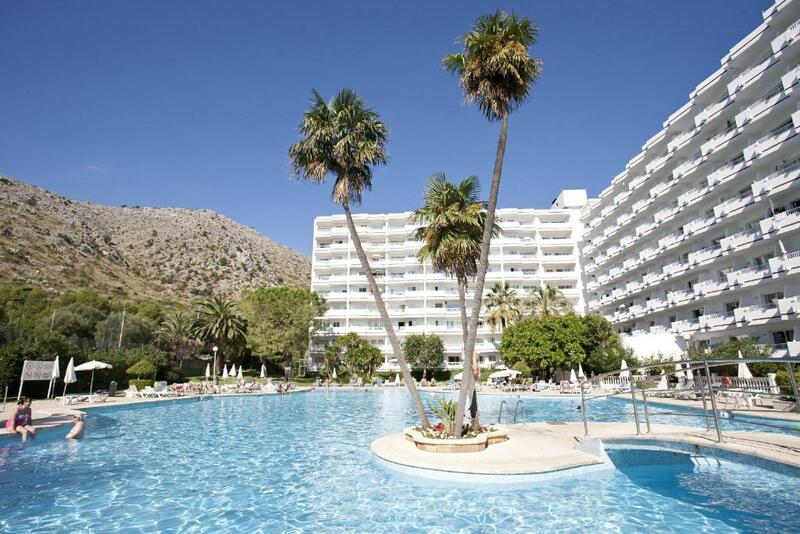 If you book and review your stay, you can help Apartamentos Siesta I meet this goal.